Portugal’s Rodrigo Amado is a saxophonist who composes and plays free jazz and improv. In a country that is has become known for these types of music, and he is one of the movement’s leaders. In 2014, he has released three albums so far. On this release, Amado teams up with Miguel Mira on cello, Gabriel Ferrandini on drums, and American Peter Evans on trumpet. 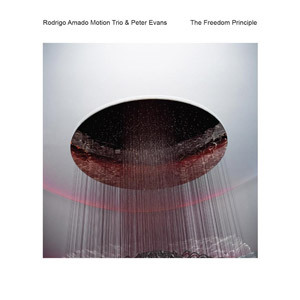 Landing somewhere in the vast reaches between composed jazz and free improv, The Freedom Principle features Amado’s muscular work over a creative rhythmic base, with Evans droning on top. Both horn players give their respective instruments a workout, evoking powerful, squeaky discordance in addition to cascading interplay. Of the four members of the group, each is perfectly comfortable playing the expected forms of creative jazz, but also punctuated sound-effects and incidental noise. 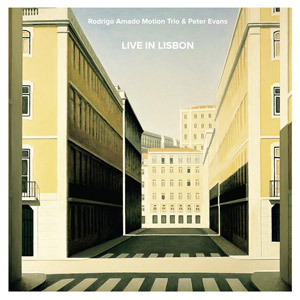 Featuring the same lineup as The Freedom Principle, Amado and group recorded Live in Lisbon just two days prior to that release. Mira and Ferrandini shine here, mostly eschewing any sense of normalcy in their rhythm efforts. This is a true companion piece to The Freedom Principle in style and substance. One can hear the influences of Albert Ayler and Ornette Coleman filtered through the last twenty years of Euro-American improv, but maintaining the sense of joy for which those pioneers were known. An energetic and fierce release, Amado’s quartet bumps up the energy level for its live audience. If I had to pick one of these three excellent releases to call my favorite, this would probably be it. 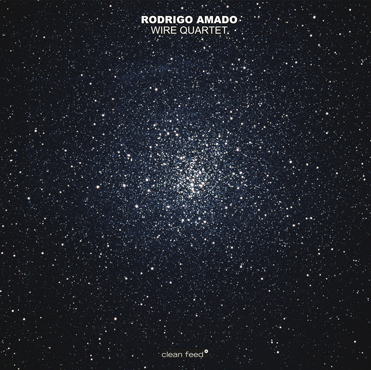 Amado’s Wire Quartet features Ferrandini on drums, Hernâni Faustino on bass, and Manuel Mota on guitar, in addition to Amado’s tenor sax. Mota plays not unlike Derek Bailey on this effort, which meshes well with Amado’s only somewhat more restrained sax. All four musicians seem to share simultaneous lead roles from time to time. As a result, the Quartet produces a punchy, in-your-face music, pulling in several directions but never losing focus. Even at quieter moments, the group keeps your ears occupied with a plethora of unexpected sounds.